Trading since 1997, Advanced Exterior Plastics are a family run businss who have the skill and expertise to provide you with the professional and reliable window specialists you need. 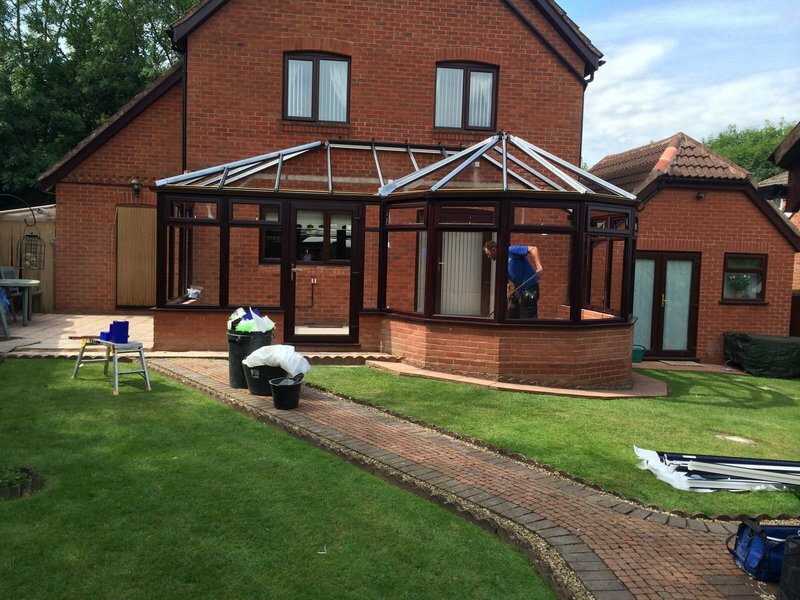 Our success has grown over the years by many of our customers recommending our Services and saying we are unlike other Window & Conservatory Companies out there. Check out our feedback with Checkatrade. You will find that our Customer Service is unrivalled and our products are excellent value for money. All of our products are guaranteed. We are Quality Driven & offer Energy Efficient Products – All products are British Board of Agreement approved, with a 10 year Insurance Backed guarantee by the Consumer Protection Association. Our windows are also A Rated for Energy and with a secured By Design Locking System for ultimate security. All of our specialists are highly trained and fully qualified to offer excellent workmanship and tidiness. Advanced Exterior Plastics offer a new double glazing experience. We have had four replacement windows fitted, two of them large bays. The work was carried out to a high standard by the fitter, he was a through tradesman. We were extremely impressed. The service and standard was more than we expected. Good price, good product, extremely good workmanship. Window (upstairs) replaced on time, professional and friendly, very good service. No mess made and old window removed. Fitted new front door. The fitter arrived at time agreed, did a good job and didn't leave any mess. The budget was as agreed when we did the booking at the office. Work done was new UPVC fascia, soffits and guttering. It was done on schedule and on the agreed budget. Very hard working and polite men who left my home as they found it. Really pleased how they tidied up and put everything back in its place. This work to replace existing guttering, facsia and soffit which was replaced with new UPVC material in only 3 days. The price was in line with what I had been quoted. The workers were very efficient and professional both in the way they undertook the work and which they tided up after. Installed soffits & fascia's on detached house & double garage. Quote as reasonable & explanation of work to be done in showroom with mock up system. Work done quietly and seamlessly in a tidy manner. Good job all round. Very happy with product and service. Would strongly recommend to anyone. Very professional service. Replacement UWC door - garage. Excellent service throughout, on time, as quoted and professional. Service cannot be faulted. Highly recommend. Good job, well done, overcome delivery problems efficiently as possible.